Hi, and welcome to my practice! I have been in private practice in New York City since 1988. After graduating from Emory University with a B.A., I received my D.M.D. degree from Tufts University School of Dental Medicine in 1986. Following completion of a General Practice Residency at Jamaica Hospital, I entered private practice in Long Island, Queens, and ultimately Manhattan. After a long and successful run in Chelsea, I decided to build the beautiful, modern, relaxing office on East 60th Street which I have called the Madison Dental Spa. This reflects the high quality, yet stress-reducing environment that I think helps ease patient’s normal anxiety about dentistry. The Madison Dental Spa provides complete general and comprehensive family dental care. Over the years, I have taken numerous advanced classes, and have included a particular emphasis on esthetics in all my procedures.. This includes Smile Design/Makeovers, Laser gum sculpting,Teeth Whitening, Restoring Natural Teeth and/or Implants, Porcelain Veneers, Porcelain Inlays/Onlays, and Composite Fillings (all-white, no mercury). I regularly attend continuing education seminars and workshops to improve my skills, knowledge, and expertise so I can offer my patients the most current and technologically-advanced dentistry available. I want you to be a part of your dental care, and incorporate technology into your better understanding of what I am trying to do. Dr. Nathanson is a member of the American Dental Association, the New York State Dental Society, the New York County Dental Society, and the American Association of Women Dentists. 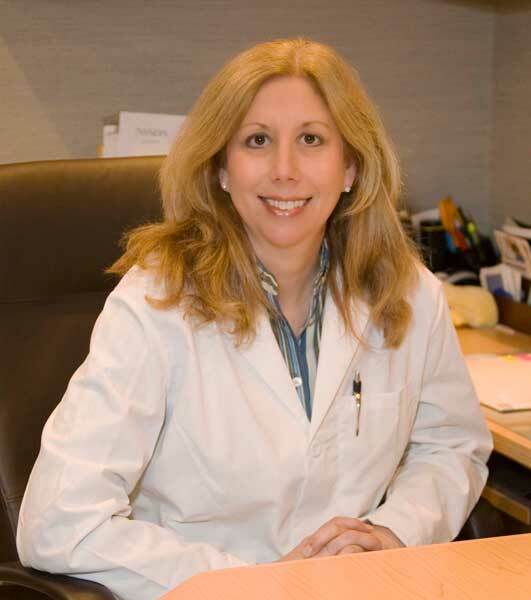 She has also been appointed to numerous subcommittees of the Greater New York Dental Meeting and has been selected for Who’s Who of Professional Women. In addition, the Consumers’ Research Council of America has selected Dr. Nathanson to be included in it’s “America’s Top Dentists” issue every year for the past 15 years! On a personal note, Dr. Nathanson currently resides in the suburbs with her college-age daughter and her adorable dog Cody. When she has free time, Dr. Nathanson enjoys playing tennis, going to the theatre and movies, music, travel, and photography. I look forward to meeting you and showing you my office!